First-in-family (FiF) students make up a significant proportion of the university population within Australia. Statistics indicate that over 50% of Australian HE students are the first in their families to attend university (Spiegler & Bednarek, 2013) with some Australian institutions anecdotally reporting participation as high as 70% of the student population. International research on this group indicates that this student cohort collectively do not perform to the same level academically as their second or third generation peers (HEFCE, 2010; NCES, 2012). The first-in-family (FiF) network seeks to develop a community of practise for those who are interested in both supporting and engaging first-in-family students. We recognise that this cohort is highly diverse in age, background, and ability, as well as how they react to uni. Some students struggle when they come to university, while others are very resilient and thrive at university – we want to know what impacts their different experience as well as how to support those who have a difficult time and consider leaving. Dr Bert Oraison & Dr Laurie Chapin from Victoria University will highlight the wonderful work being undertaken in the ‘ “VU Kick Start Program’. The session will explain the focus of the program and the research behind it. A/Prof Cathy Stone, representing the National Centre for Student Equity in Higher Education (NCSEHE) will outline the specific needs of the FiF online cohort and examples of best practise in engaging and retaining this population. Finally, the network will also feature a short presentation on some of the FiF initiatives that are happening in the UK, US and Canada. This presentation is designed to encourage discussion and reflection about what could/ should be replicated here in Australia. Professor Sarah O’Shea has convened the FiF network since its inception in 2015 and each year organises a network session based on feedback from the previous year. Over this period, Sarah has also linked network members together and disseminated key research and findings on this student cohort. Having spent over two decades teaching and researching in the higher education field, Professor Sarah O’Shea is regarded as an expert in educational equity and university access. Her institutional and nationally funded research studies ($AUD 2 million+) advance understanding of how under-represented student cohorts enact success within university, navigate transition into this environment, manage competing identities and negotiate aspirations for self and others (heaccessforall.com). 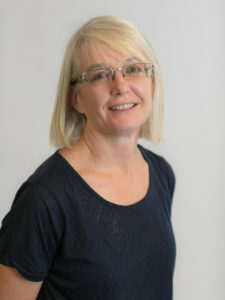 Her passion for first in family students cuts across all her research and practise; in 2016 she was awarded an ARC Discovery Project exploring the persistence behaviours of first in family students and in 2017, obtained a Churchill Trust Fellowship to explore best practise in support strategies for this cohort, travelling to the UK, Canada and the US. Sarah is a Principal Fellow of Advance HE (UK), an Australian Learning and Teaching Fellows and a 2019 Equity Research Fellow with the NCSEHE. HEFCE. (2010). Trends in young participation in higher education: core results for England. Issues Paper, 10th March 2010, at http://www.hefce.ac.uk/pubs/hefce/2010/10_03/ (Retrieved 12 March 2013). McMillan, J. (2005). Course change and attrition from higher education. LSAY Research Report No.39. Melbourne: ACER. O’Shea, S., (2015). Avoiding the manufacture of “sameness”: First-in-family students, cultural capital and the higher education environment. Higher Education (First Online). O’Shea, S., McMahon, S. Bodkin-Andrews, A. Priestly, A & Harwood, V. (2015). ‘We are history in the making and we are walking together to change things for the better….’ Exploring the flows and ripples of learning in a mentoring program for Indigenous young people. Education as Change (First Online). Spiegler, T., & Bednarek, A. (2013). First-generation students: what we ask, what we know and what it means: an international review of the state of research. International Studies in Sociology of Education, 23(4), 318-337.